You know you have a damn good router on your hands when even your mother loves it. 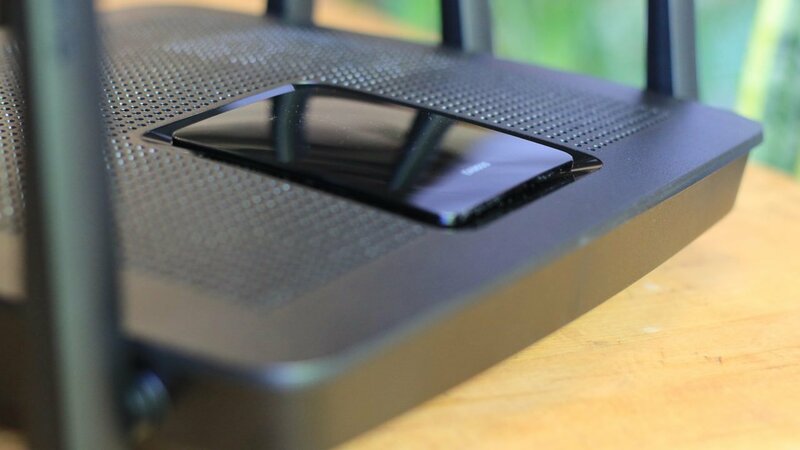 Linksys routers have been a standard inclusion in most family’s homes for quite a while, but the company hasn’t pushed the innovation button in years and the competition is rapidly picking up steam. 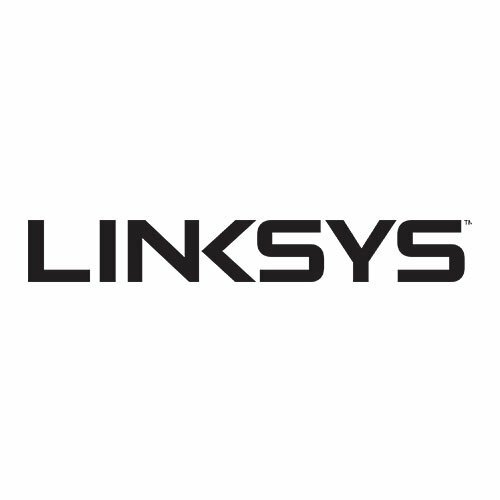 To reclaim their title, Linksys has revealed their new family of MAX STREAM products and their powerhouse router, the Linksys EA9500. The technology that binds the MAX STREAM family of products together is MU-MIMO wireless, which improves the efficiency of your Internet experience by interacting with all of your connected devices at the same time instead of on a one-on-one basis. Most routers are still single user based, which creates a priority line of weak and buffered connections when all of your devices need to ping it for information. The EA9500 is powerful enough to support an entire household’s set of consoles, phones, computers and tablets, while still featuring the ability to deliver stable wireless connectivity at fast speeds. My current wireless 5 GHz connection would normally clock in at a wavering 6.5-8.0 MB/s when downloading a game from Steam, but after installing the Linksys EA9500 it was like my download speed took a shot of adrenaline and it suddenly began showing stable speeds of 9.5-10.0 MB/s. My next test was range, and this is where my mom professed her love for this router. She’s the kind of person who loves to stream her favourite shows and movies while she’s cooking but will constantly complain to her son whenever the Internet cuts out or her shows start to buffer. After this eight-towered beast entered the home, her passionate cries of anguish and grief ceased and I was able to enjoy multiple silent evenings of entertainment. A little overdramatic maybe, but the Linksys EA9500 eliminated every dead zone in my house and every device was able to access the 5 GHz connection, which is saying a lot when the modem has always been located in the basement beside my PC. With this kind of power output comes a pretty hefty MSRP of $399.99 USD. 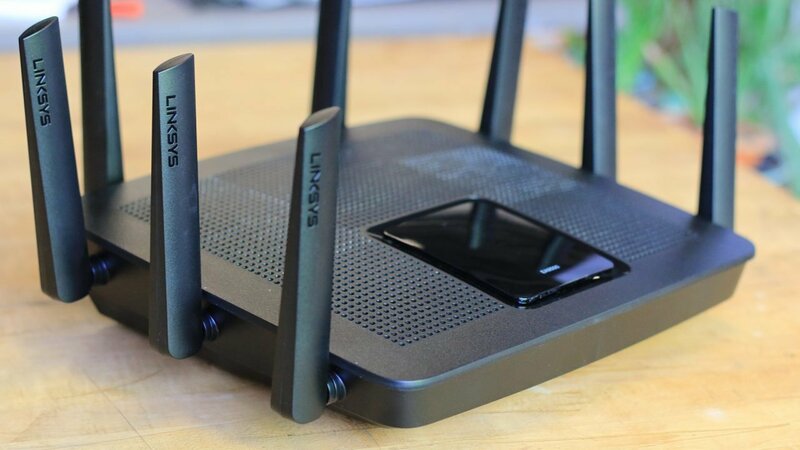 The cost of the Linksys EA9500 is overkill for most households, but this router has always been aimed at the tech enthusiast. 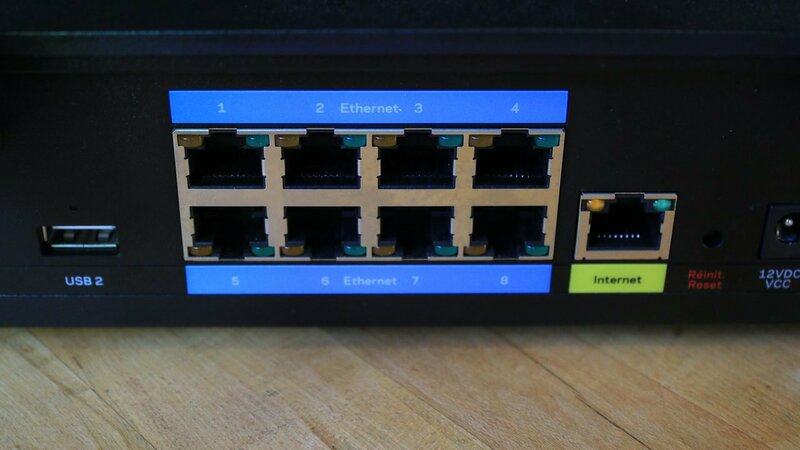 Packing eight Gigabit Ethernet ports, a 1.4 GHz dual-core processor and featuring tri-band Wi-Fi, the EA9500 can be used to host a variety of gaming events, such as LAN parties, local eSports tournaments or simply streaming your group’s favourite titles. That’s not to say that the everyday home user can’t take advantage of some features as well. 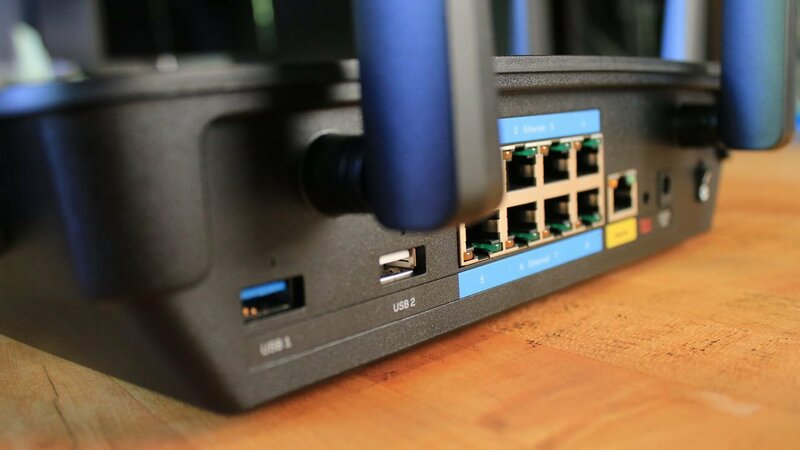 The Linksys Smart Wi-Fi interface is very friendly to beginners and explains in easy language how to set-up multiple custom networks and establish how much power you want to dedicate to them. If you’re sick of handing out your Wi-Fi password to friends, extended family or uninvited guests, you can create a specific guest password that gives them only as much access to your networks as you specify. 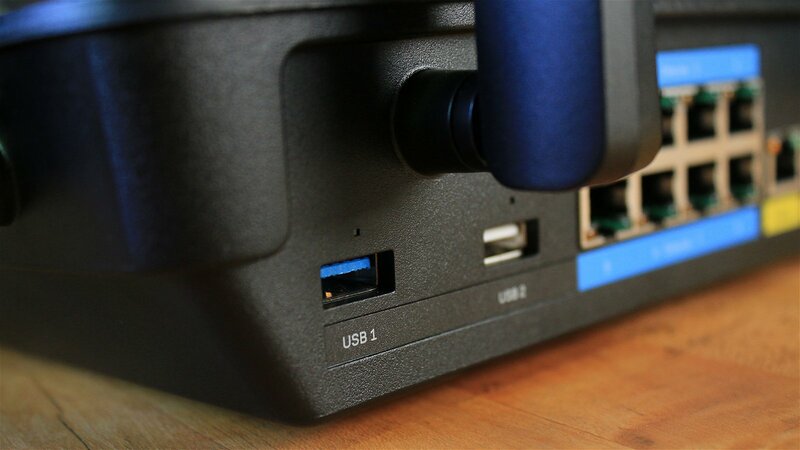 You can also monitor how much power each connected device is consuming and redistribute the power to whatever device you want to prioritize immediately, whether that’s your workstation PC or your streaming console. 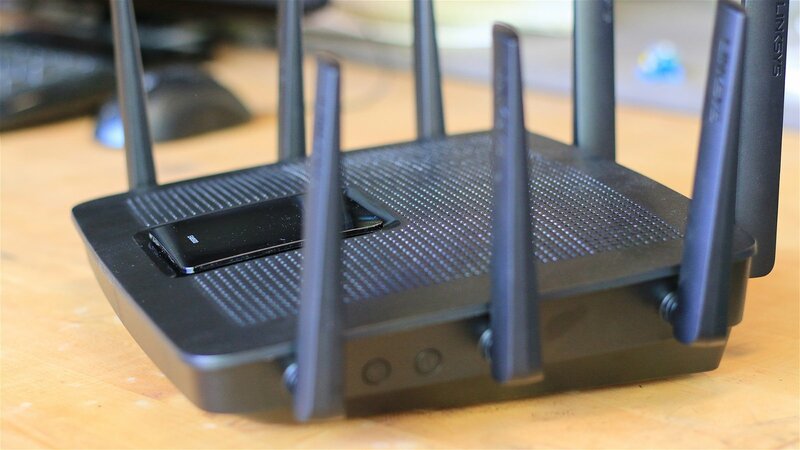 The Linksys EA9500 is easily the most powerful router I’ve used to date. The whopping price tag may scare away many consumers, but I have to admit that the EA9500 does the job its advertised to do and at the top of its class. My wireless speeds have never been faster, my home’s devices can easily connect to it anywhere at any given time and hosting my first LAN party with six bulky PCs was an absolute blast. If you’re a gamer who craves powerful wireless, then the Linksys EA9500 has every one of your desires covered. The Linksys EA9500 MU-MIMO Router proves that this tech manufacturer is still the king of delivering powerful wireless connectivity to any user’s environment.